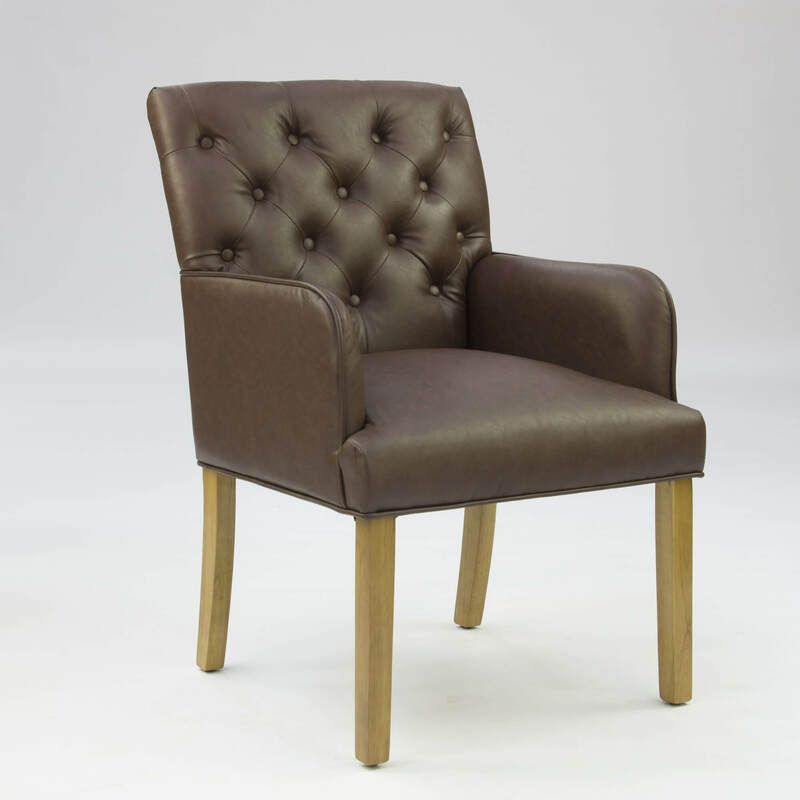 This Regent Dining Chair is upholstered in an Antique brown faux leather fabric and epitomises luxurious furniture design. 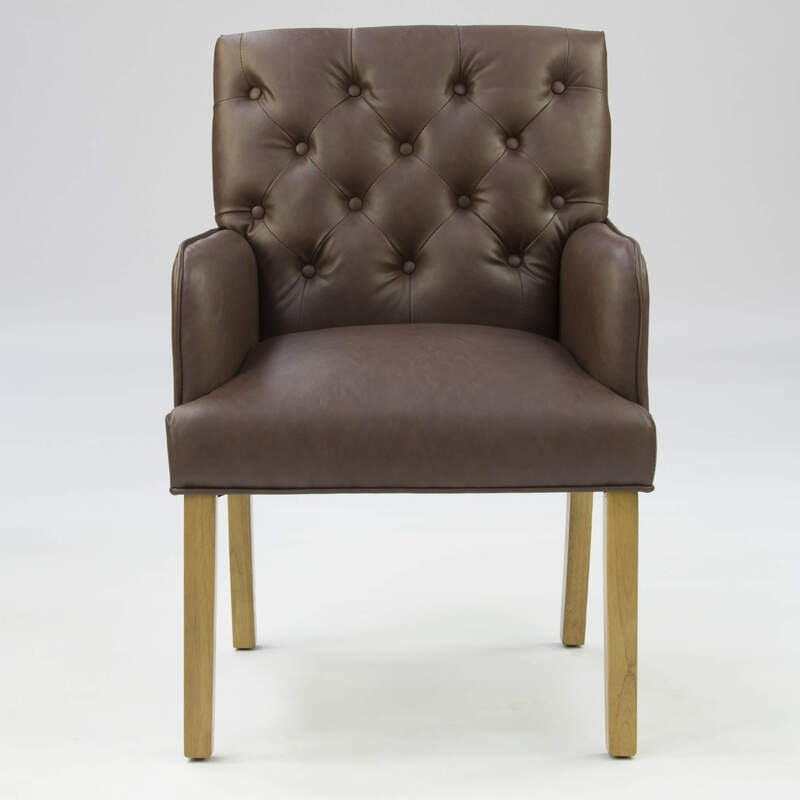 This also could be used as an occasional club chair. 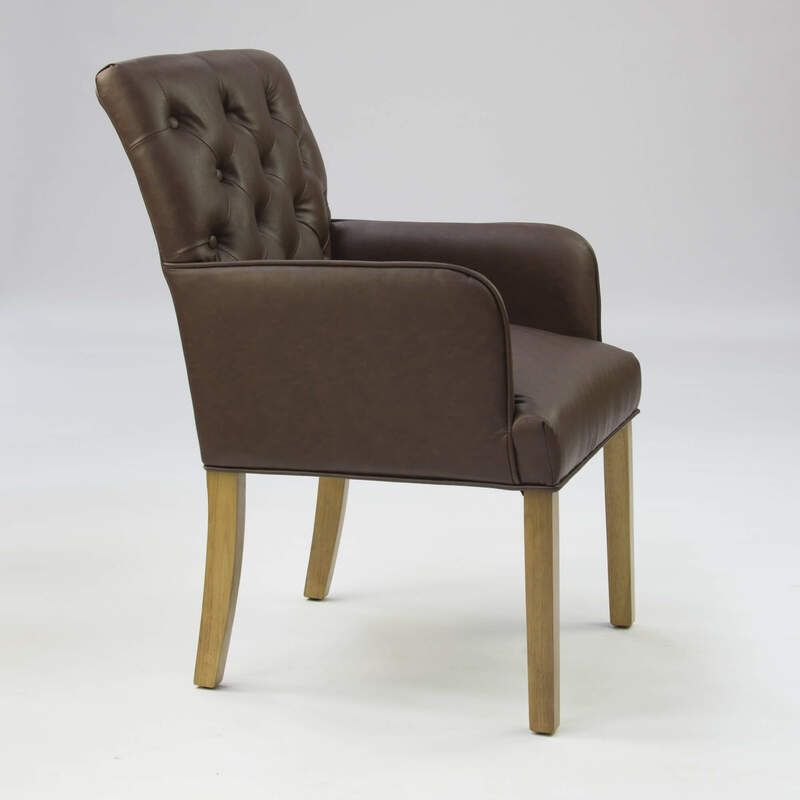 The seat and accompanying high backrest are padded to give the utmost comfort with detailed button tufting. 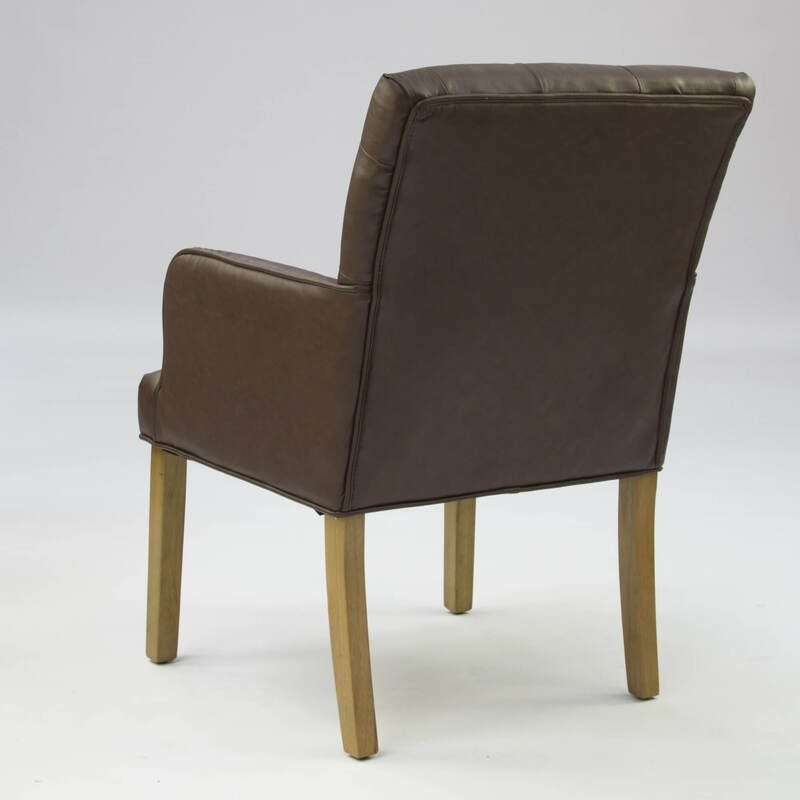 The chair is supported by four solid wooden legs.